This is a single user license, allowing one specific user access to the product. This is a two day conference. 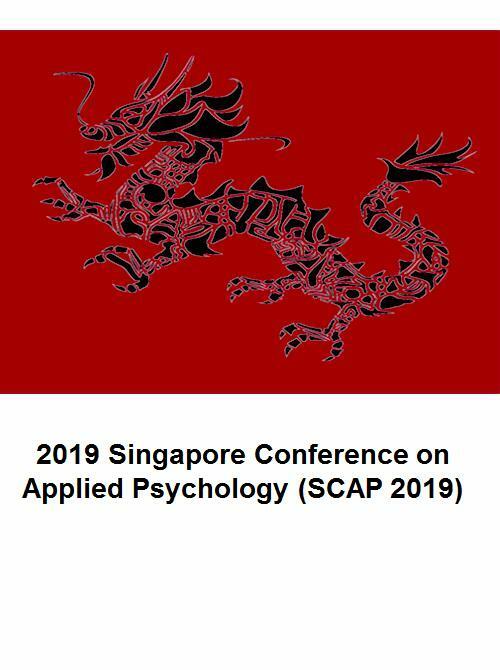 2019 Singapore Conference on Applied Psychology (SCAP 2019) will be held in the cosmopolitan city of Singapore. We invite researchers & practitioners from all fields of psychology research & practice to present and discuss the most recent innovations, trends, concerns, practical challenges encountered and the solutions adopted in the field of Applied Psychology. Join the best psychology conference taking place in Singapore. You are invited to attend and participate in this annual international Applied Psychology conference which offer numerous opportunities to share your ideas, applications experiences and to establish business or research relations for future collaboration. Join us for this exciting Psychology Conference in Singapore from 20th to 21st June 2019 at the Grand Copthorne Waterfront. We welcome all papers on the topic of Applied Psychology to be presented at SCAP 2019. What can you expect at SCAP 2019? Dr Frances Maratos is an Associate Professor/Reader in Emotion Science at the University of Derby. Her research is centred on understanding psychological, neurological, cognitive and physiological correlates of emotional well-being, with a specific focus on understanding threat- processing across disorders (e.g. anxiety, eating etc.) and the use of compassion for emotion- regulation. She has published over 20 papers in these specific areas, as well as a number of book chapters. In recent years she has also become a key individual within the compassion in schools movement, helping initiate and progress associated international research programmes. Dr. Jane Montague is the Discipline Lead for Psychology within the Department of Life Sciences. Her teaching and research interests are based within critical approaches to social psychology, particularly in relation to gender, identity and the use of qualitative methods. She currently teach both undergraduate and postgraduate students and supervise a number of PhD students. "I am an active member of our psychology research team and engage externally with our accrediting body, the British Psychological Society, as the Conference Officer for the Social Psychology Section." Dr. Paul Gilbert is a Professor of Clinical Psychology at the University of Derby and Visiting Professor at the University of Queensland. He has researched evolutionary approaches to mental health alongside clinical work as a Consultant Clinical Psychologist for over 40 years in the NHS. He founded and developed Compassion Focused Therapy (CFT) and established the Compassionate Mind Foundation in 2006 which promotes wellbeing through facilitating the scientific understanding and application of compassion. I have over 300 publications including 22 books. Overlooking the Singapore River, this upscale, high-rise hotel is 7 km from the beaches on Sentosa island and 6 km from the Universal Studios Singapore amusement park. Streamlined rooms feature minibars, free Wi-Fi and flat-screen TVs; upgraded rooms feature marble bathrooms and/or river views. Suites add separate living rooms; luxe 1- and 2-bedroom apartments include full kitchens. Room service is available. Breakfast, parking and a local shuttle are free. There's a 1940's Shanghai-style restaurant, a casual international eatery and an Italian grill, plus 2 bars. Other amenities include a fitness centre, a pool & a hot tub, along with a salon.